Samsung Galaxy Note 7 costed company a lot of money, and even affected their reputation as the world’s largest smartphone maker. 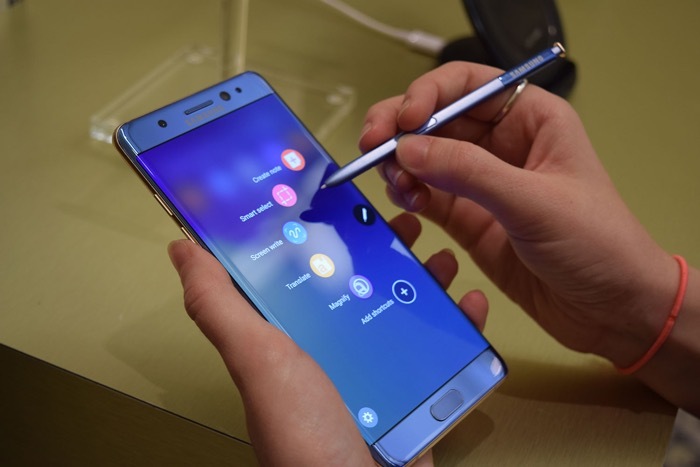 Samsung Galaxy Note 7 also launched in India and was available for pre-booking before the company recalled the handsets globally. If you’re one those customers who pre-booked the handset in India, Samsung has some freebies for you if you decide to get the Galaxy S7/S7 edge instead. Samsung is giving customers the option to exchange it with the Galaxy S7 or the Galaxy S7 edge. If you decide to go with the offer, Samsung is giving away Gear VR, Level U wireless stereo headset, and a $50 Oculus VR content voucher absolutely free. Additionally, customers will also get one time screen replacement for free within 12 months of purchase. If you’re not interested in the Galaxy S7 or the S7 Edge, you have the option to opt for a refund and get your pre-booking amount back. What are you planning to do? Will you go with the Galaxy S7 or the S7 Edge? Galaxy S7 Edge should satisfy your needs if you’re looking for something that can replace the Galaxy Note 7.